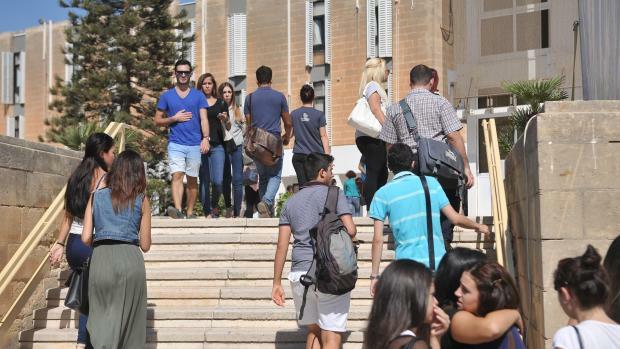 Over three-quarters of the students and staff at the University of Malta use a car to get there – either as a driver or passenger – with a third also using the bus at times, and just under a quarter “sometimes walking”. Only three per cent use a motorcycle and just two per cent use a bicycle. The results emerge from a mobility survey carried out by the university, which is part of an international consortium running an EU programme to work on improving mobility at campuses in the Mediterranean. The university has been running a green travel plan since 2010 as one of the actions emerging from this exercise, and a working group of stakeholders has been set up to tackle the issues outlined. Dealing with the daytime population of 13,000 has posed inevitable pressure on the university, which already allocates 41,000 square metres to parking, compared with just 28,000 square metres for buildings.